If you want to build a swimming pool or garden area that’s reminiscent of a luxurious Balinese resort, look no further than green sukabumi. 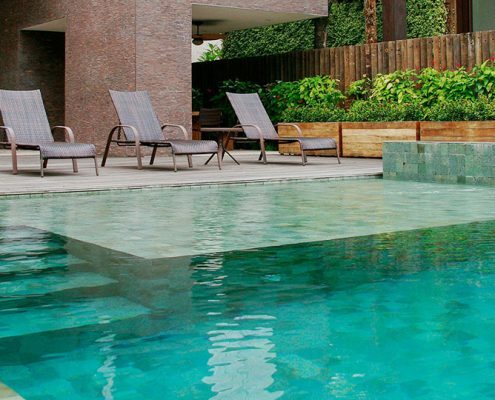 Green sukabumi natural stone has been used to create stunning tiled swimming pools for many years. Why do designers, architects, landscapers and DIYers repeatedly choose green sukabumi? Not prone to scratches or chips, this emerald coloured natural stone is the ideal choice for elegant and enduring outdoor designs. Green sukabumi is as rare as it is beautiful. Found only in certain parts of Indonesia, this green stone is named after the Sukabumi regency in West Java where it was originally discovered. For years, green sukabumi has been used in and around the swimming pools of lavish Indonesian resorts and villas, not only because the tiles look gorgeous shimmering underwater, but because this natural stone actually has unique water purifying properties. Green sukabumi contains zeolite as part of its natural chemical compound. Zeolite purifies your swimming pool by absorbing heavy metals, contaminants and bad odours from the water. Good water filtration is essential to maintaining a clean and enjoyable swimming pool, and zeolite is known to be an efficient, naturally occurring cleaning machine, removing more contaminants and heavy metals than many sand or chemical filters you’d have to pay to install. In addition to keeping your pool nice and clean, green sukabumi stone boasts several other unique properties that make it perfect for swimming pools and other outdoor applications. 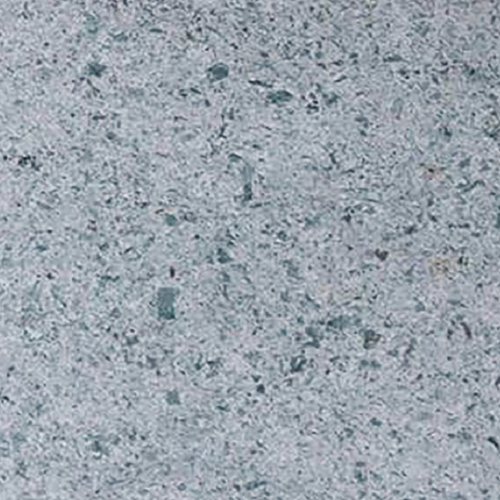 Sukabumi stone is thermally stable, meaning it doesn’t absorb too much heat on scorching summer days. 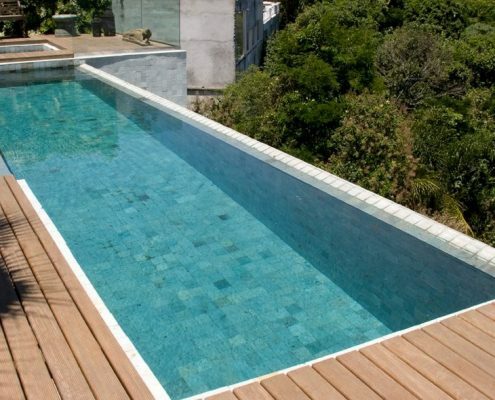 It also has anti-slip properties, which minimises accidents around the pool. It has a very low absorption rate and strong water resistance. Because the Bali stone is so impermeable, you don’t need to seal green sukabumi to ensure it lasts. 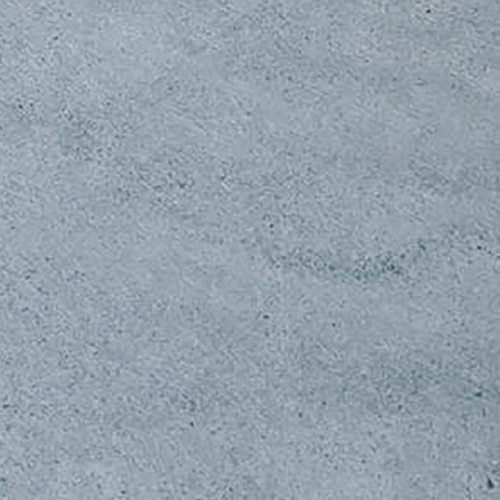 This natural stone will endure for generations without too much maintenance because it has high abrasion resistance to scratches and chipping. How do designers use green sukabumi? 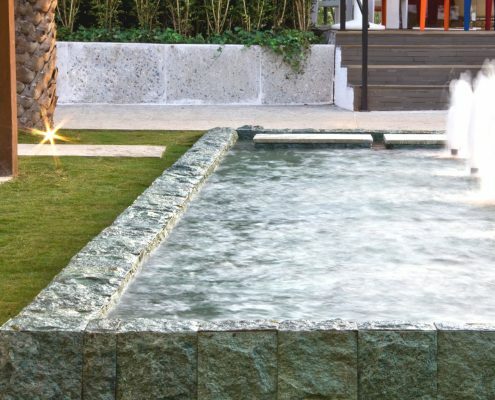 When designers think green sukabumi stone, they immediately think swimming pools, but how else can you utilise this attractive natural stone in your renovations? Green sukabumi is a great choice for floor and wall applications. Because it has anti-slip properties and a low absorption rate, it’s excellent on your back patio or in stone walkways. Rough finished green sukabumi is commonly used to build striking, strong natural stone walls around your own backyard paradise. Not just reserved for the great outdoors, green sukabumi stone can also be used in mosaic cladding style to create intricate accent walls. There’s more to green than green, and BauMart’s natural sukabumi comes in varied shades from jade to emerald. Designers often create unique designs using different coloured sukabumi tiles. Creative architects can make amazing mosaics in swimming pool floors and on wall applications. Available in natural split face and honed finishes, BauMart is glad to produce your green sukabumi in large and small tiles. 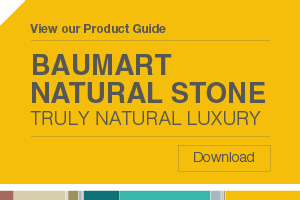 At BauMart, we pride ourselves in offering the highest quality green sukabumi stone. 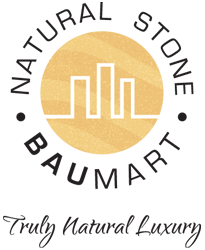 We work directly with a small number of trusted providers, who source only A-Grade sukabumi stone. Because green sukabumi is only found in certain parts of Indonesia, it can be difficult for designers and architects to get their hands on the amount they need in a timely fashion. BauMart understands that architects and renovators need stone cut and delivered in a timely fashion in order for them to keep working, so we provide realistic lead times and closely monitor production progress on special orders, to ensure we deliver within indicated timelines, to meet any specified deadline requirements on large and small orders. BauMart is glad to help with any enquiries, provide quotes, discuss projects and make suggestions. If you’re a DIYer or new renovators, we can even offer installation and maintenance tips, or let you know when you might want to get a professional involved. If you want to find out more about using green sukabumi stone in your next project, reach out to our friendly, experienced team today. 25 year warranty when using Laticrete to affix Sukabumi pool tiles. Please see specification sheet for more information. Corrosion/borer hole in tiles. This is very rare and the cause is unknown. Replacement of affected tiles is necessary. Surface staining once installed. Also rare, the iron content of the stone can cause oxidisation or interact with the environment after the stone has settled. Often this will pass and revert to its natural colour over time, though in some cases emptying the pool and cleaning the tiles will be required. Lifting of tiles. This occurs when the wrong adhesive is used, the pool shell has been incorrectly prepared or no movement joints were installed. Affected waterline tiles. Due to the changing water level of the pool, improperly sealed tiles may experience issues. Ensure sealant is used on waterline tiles. Green sukabumi is such an individual, beautiful stone when installed in pools that the end result is always well worth the risk. Many suppliers may claim these issues are due to quality selection and that their sukabumi tiles are impervious to complications, but this is simply not true. Such a claim is physically impossible to guarantee, due to the very nature of sukabumi. All natural stone expands and contracts, for this reason tiles must not be stored in the sun before laying. If laying tiles in high temperatures, ensure the pool is sheltered during installation.